Begin your rental property search here. All the Rental Properties of the LBAR MLS are here on our site. INVESTORS: If you currently own or would like to own rental property click here to contact us about our Property Management Services. The data relating to real estate for sale on this website comes in part from the Internet Data Exchange Program of the Lexington-Bluegrass Association of REALTORS� Multiple Listing Service. 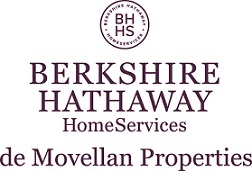 Real estate listings held by IDX Brokerage firms other than Berkshire Hathaway HomeServices de Movellan Properties are marked with the IDX logo or the IDX thumbnail logo, and detailed information about them includes the name of the listing IDX Brokers. Information deemed reliable but not guaranteed.